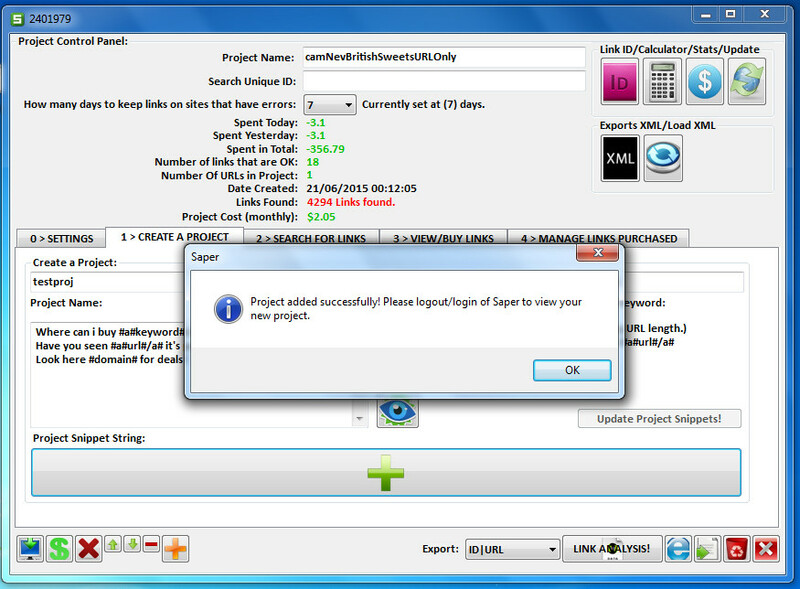 Create projects from within the software. 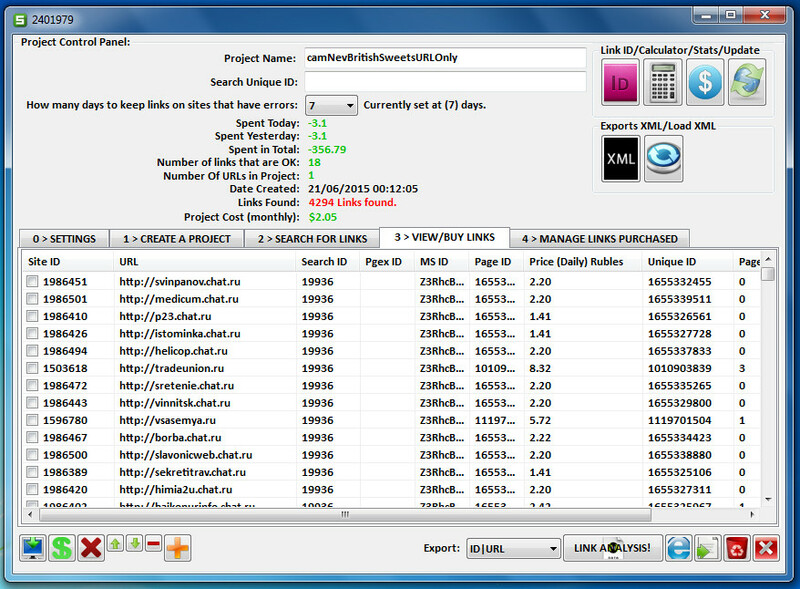 Buy links from within the software. Delete links from within the software. 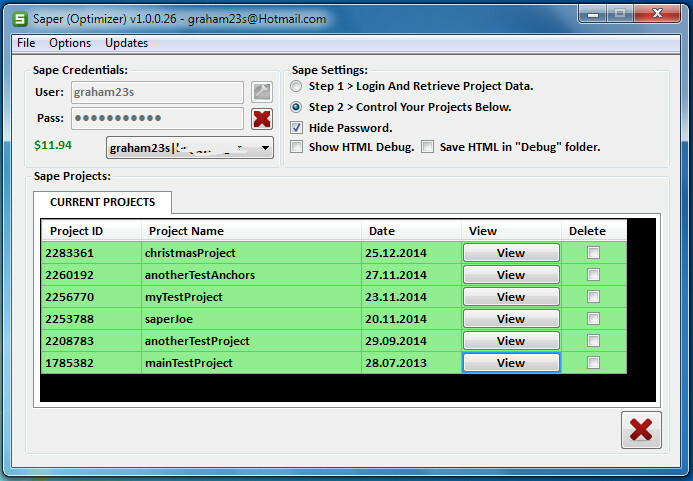 Delete projects from within the software. 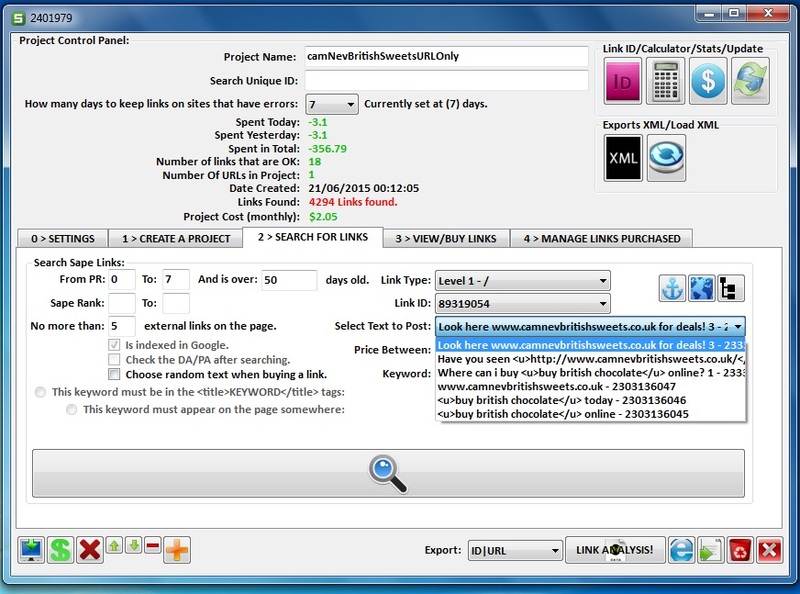 Search for links without ever needing to login to the sape site. View how much you are spending on each project. Pick specific categories and extensions (tlds) suited to your campaigns. 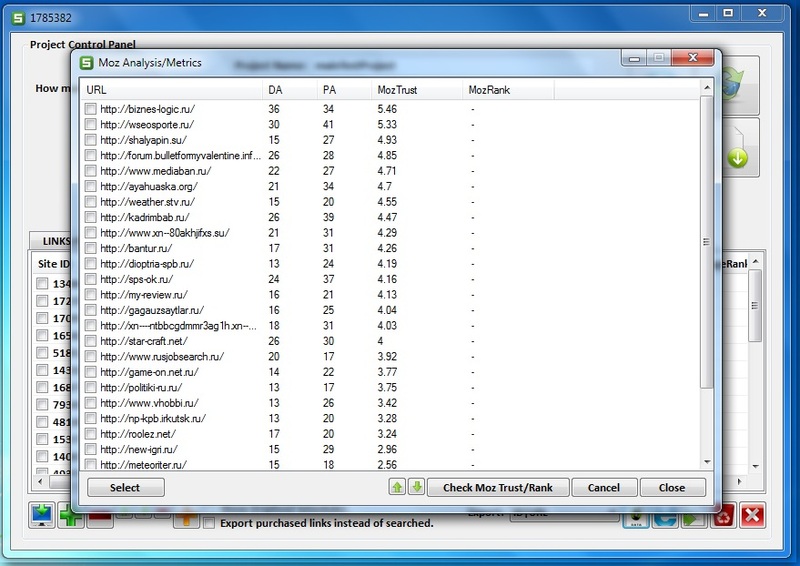 Before buying links, check the sites DA/PA using SeoMoz's free api. Auto convert the currency to GBP and US dollar. Select with the click of a button which text to post. On a budget? 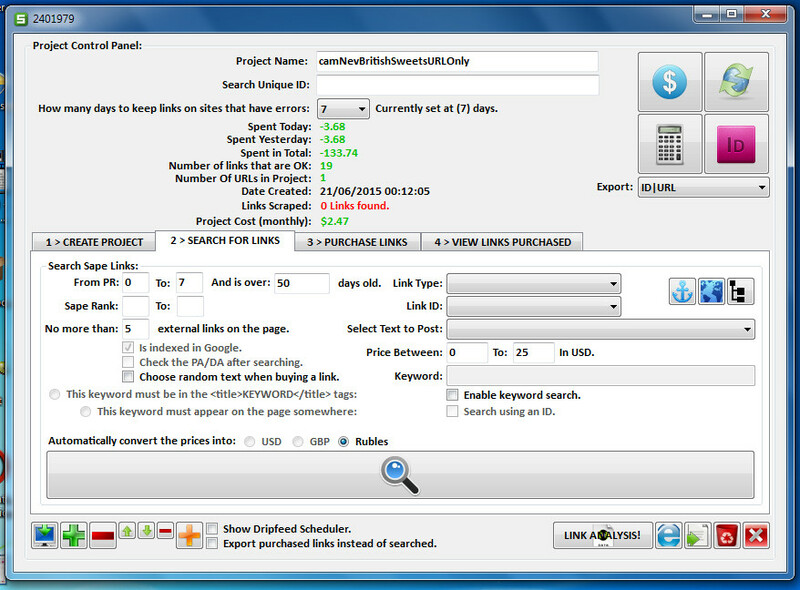 search urls by price. Easily laid out interface, no complicated Russian text to translate. Uses sockets and the XML-RPC protocol to bring you the best and fastest possible speed. 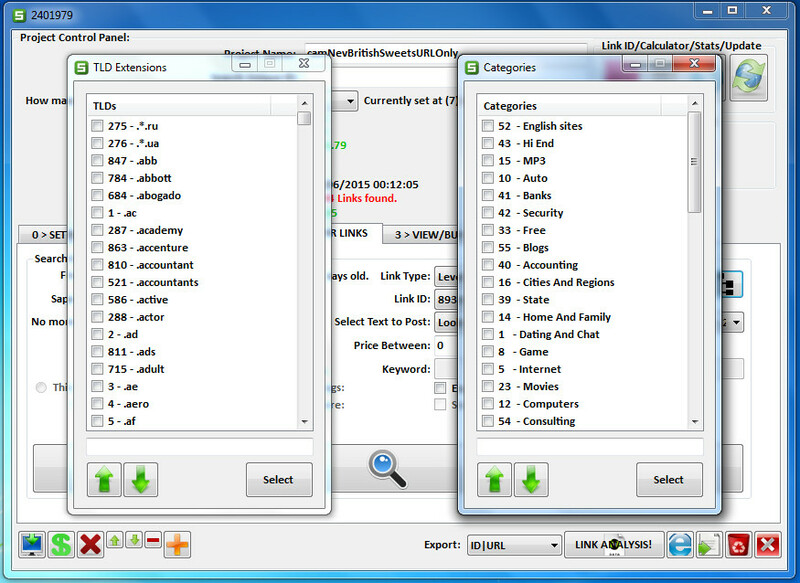 Optional: store the domains into a MYSQL database remotely/locally for further research. 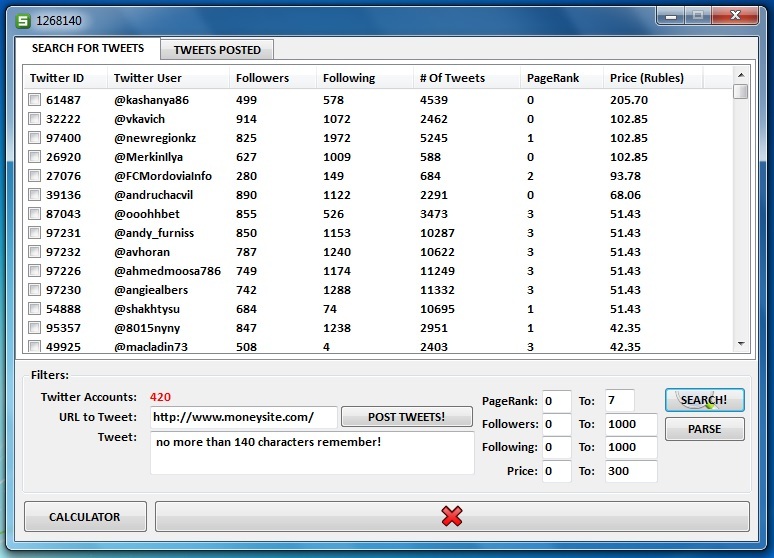 Buy tweets on high authority accounts.